Being a creative business owner or blogger is hard work. We’re Michaela & Ashley, the founders of The Bloom Workshop, a workshop created for busy creative entrepreneurs, just like you. We’re here to give you an abundance of practical tools to help your business blossom. We know your time is valuable (let us guess---you’re here during your toddler’s nap time, you still have 15 e-mails to answer and did we just hear your kitchen timer go off?) We’ve been there, which is why we created a workshop we wish we had before we launched our own businesses. If you want to see your business thrive (and we’re pretty sure you do! ), you have to plant seeds now that will grow into an efficient and profitable venture, that you are still passionate about in the years to come. Lucky for you, you’ve come to the right place, because our two-day workshops will give you all the tools you need. “Since Bloom Bash Seattle, I've gone full time. 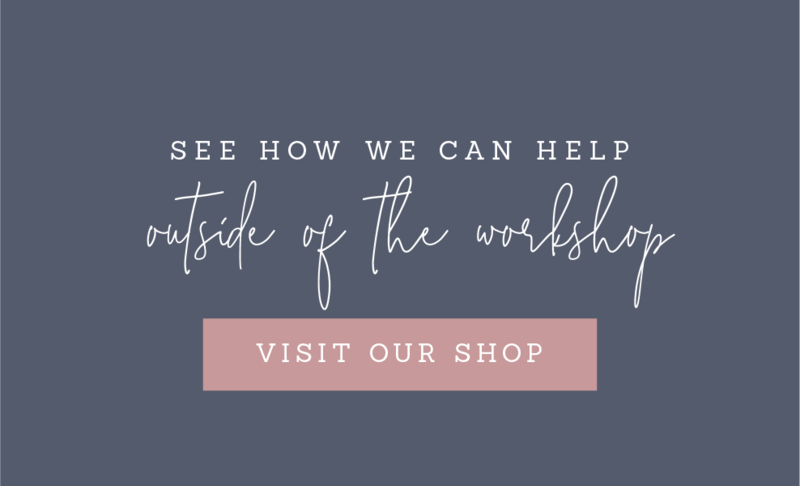 “Before The Bloom Workshop I was unsure of how to proceed with my business, and afterwards I knew I had a clear direction with a community of individuals going through the same process. "Having been in the photography business for 10 years, this was exactly what I needed to breathe some fresh air into my strategic direction. I flew 3,104 miles to attend the Bloom Bash Workshop and couldn't be happier with this investment! As a photographer, what I thought would be my main interest (the styled shoot) turned out to be of equal stature with every other aspect of the workshop. Every creative detail, every thoughtful gift, every word shared by fellow creatives, impacted me immensely. Thanks to the amazing girls of The Bloom Workshop!" Grand Rapids, Michigan on July 15th, 2019. Quinlan, Texas on November 5-6th, 2019.